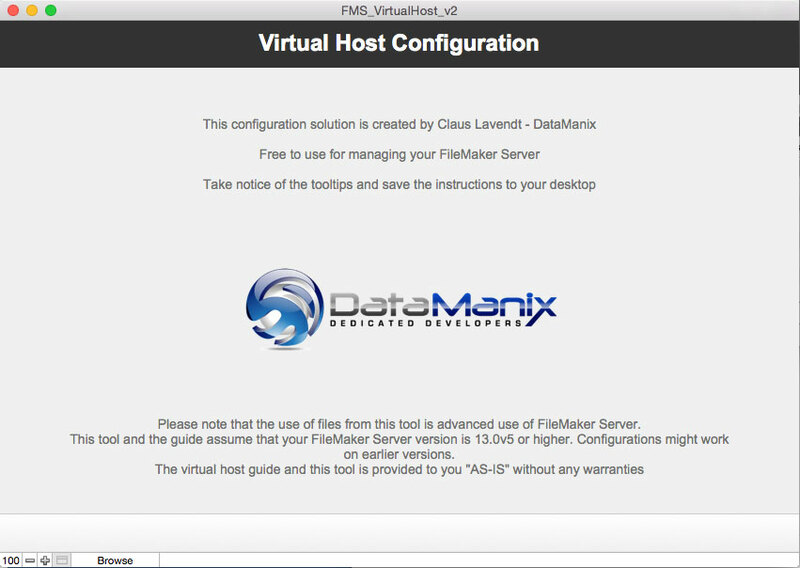 By popular demand, we have updated our Virtual Host guide and tool for FileMaker Server 13 on Mac. The new guide will work with FileMaker Server 13.0v5 and Yosemite, as well as other supported versions. There are several new tips and tricks included in the “goodies” section. The new tool is now completely unlocked and does not use plugin anymore. Also new in this version is support for SSL.